Quite a bit of chatter about my new camera, affair-proofing a MINI, Molly Wood, the weather in Kansas City, Todd sells 2 MINIs and Fireball Tim is selling his. 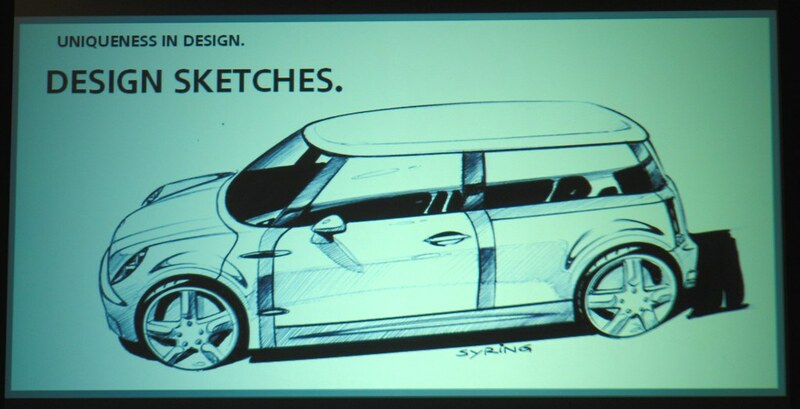 Then, on to news of the week from Motoringfile, including more making fun of the Clubman Spoiler. Before we get into _the content_ portion of the show, Robert in Toronto checks in. You can search for his AMVIV videos over at YouTube or check him out at his other podcast at MobileMovie.ca. It’s great fun! Gabe checks in via satellite phone from an undisclosed location and he talks a little about the 135i he drove last week then Todd and Gabe spend pretty much the rest of the show waxing poetic about all things JCW and then on to talking about cars built in America. No, really. Don’t forget, AMVIV is coming up at the end of the month and we have some cool stuff planned for those of you that aren’t going to make it. I’ve WhiteRoof.tv updated and warmed up and will be partnering with WRR listener and show producer Sherwin Smith from BehindTheVroom for any video we do. So, get over there and get subscribed! Finally, if you are going to AMVIV and want Todd to install graphics on your MINI, you should contact him very soon.